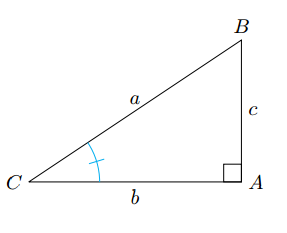 How to label angles in a right triangle? 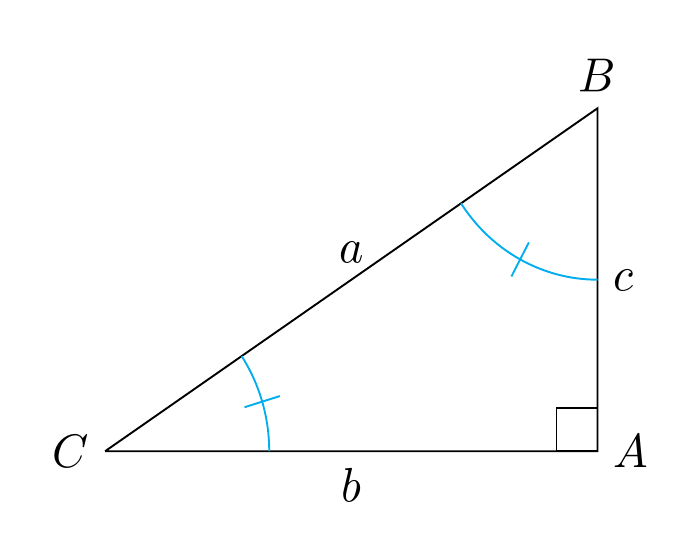 I am trying to label the two angles in a right triangle and got the following code from this post link. In this code, only the right angle is indicated. Looking at several posts on the subject, I am not able to label the other two angles. Learning from the manual is difficult, unless one already knows quite a lot. 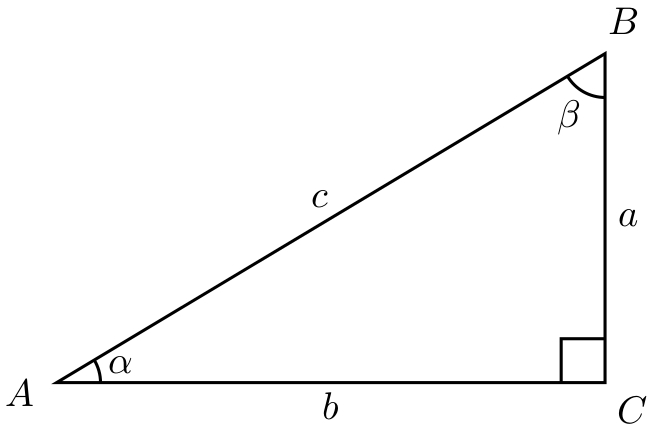 I would appreciate if someone can add for me the lines that would label the two sides of this triangle. This will serve me a lot of learning. Greetings of the season. In a comment you mentioned wanting to avoid tkz-euclide. I actually only used this because the code you posted originally required it. 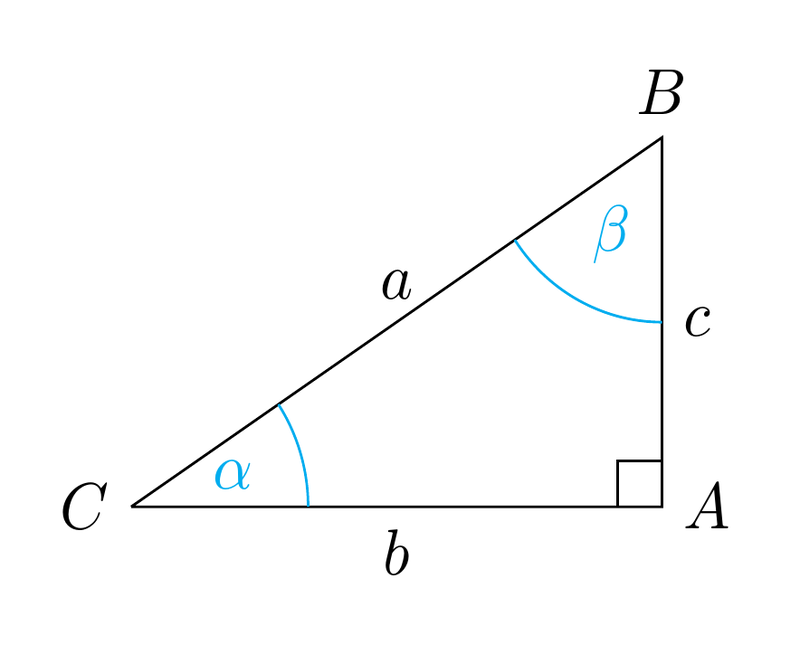 If you wish to mark angles using plain TikZ (insofar as there is such a thing), you might use the angles and quotes libraries, which are part of PGF/TikZ itself. Now is correct, without errors! 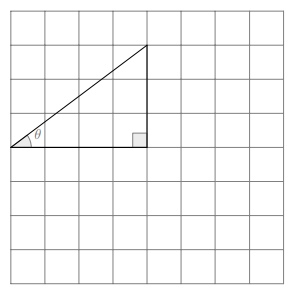 For the second question you can use a grid.